The Zambian Education sector consumes 18.6% of the 2011 national budget, or 3,828.8 billion kwacha. Though the sector has improved the delivery of education services over the last decade, it still falls woefully short of what Zambian youth ought to expect to be available to them in order to compete in a globalised 21st century marketplace. With so many other important items on the government agenda it seems unlikely that the nation can afford to spend a larger share on education. Therefore if more is to be done then we must find ways to serve multiple educational goals with the same money. Vertical integration of programmes is one route to achieve this type of productivity increase. President Sata announced his ministerial team today. The new team has 6 members from the Movement for Multiparty Democracy (MMD) at Deputy Minister and Provincial Minister levels. The President also made some changes to the structure of the ministries. This is perhaps a good time to declare an interest here - my brother Hon Mukanga was appointed as Cabinet Minister for Transport, Works, Supply and Communications. Many congratulations to him! We shall of course hold him and the rest of the team to account as we have always done. The 5th President inauguration speech as delivered on 23 September 2011. (HT: Zambia News Features). The Electoral Commission of Zambia has released the final count of elected Members of Parliament following the September 20th tripartite elections. The Patriotic Front (PF) has taken 60 seats from the 148 seats. Of the 60, 8 are females. MMD was second with 55 seats. Of the 55, 6 are female. 28 seats have gone to the UPND with 2 female MPs. Alliance for Democracy and Development (ADD) together with the Forum for Democracy and Development (FDD) has 1 seat each. 3 seats have been taken up by independent members of parliament. So, it's a minority government proper. As we (and Mr Milupi) predicted before the elections no one got beyond 60 seats. Full detailed constituencies with MP names can be found here. Amidst the fear and uncertainty that gripped Kitwe during Thursday's protracted vote counting and court-imposed media blackout, something particularly ugly was perpetrated in Bulangililo. Apparently some misguided Zambian citizens residing in the area are alleged to have taken it upon themselves to destroy the house of worship favoured by some of their neighbors. I do not think that it matters which of Zambia's many holy places was burned, I am much more concerned by the idea that this heinous act was somehow perpetrated in the name of "patriotism" to Zambia. I think that the vast majority of their fellow citizens do not agree with their concept of how to show their pride and uphold the honour of the nation. We shall post below the electoral picture has it emerge for each province. Please let us know of results as you have them. The page will be regularly updated. Zambia has a new political leadership. Mr Michael C Sata (Patriotic Front) is the Fifth Republican President of Zambia. He was sworn in earlier today and pledged to fight corruption and deliver a more efficient government. 16 seats remaining (2 have been deferred). Areas of contention (disputed by readers) in blue (we are verifying again). For those who are not familiar with his career, comedian John Stewart via his primary media vehicle, "The Daily Show", airs for half an hour five times a week in North America on the cable network Comedy Central and is further syndicated in dozens of other countries and has full broadcast content as well as extended interviews available for free via the web. What Stewart and his staff have been able to do over the last decade is to pull the veil away from established partisan media outlets and political "spin" through satire, consistently choosing to mock whichever party has acted in a way most ridiculous that day. It is important to note that they do not ridicule that which they have not researched, and it is clear that the staff behind the scenes is working very hard to get the facts straight before the jokes are written. Stewart often interviews some of the world's most powerful people, always with respect, intelligence, and of course humour. He has arguably elicited more information from subjects like Donald Rumsfeld or Pervez Musharraf with this "soft" approach than most standard news reporters could dream of, and has replaced all such reporters as the most trusted source for actual news (which he never claims to be reporting) for Americans under 35. The Electoral (Code of Conduct) Regulations, 2011. The refreshed code of conduct sets out what is expected. Social Media to Monitor Elections. The IPS have an interesting piece on Bantu Watch. This is a supremely critical website - http://www.bantuwatch.org/ It will be the main tool for looking at various incidents taking place between now and during the elections e.g. violence, fraud, corruption. There already interesting reports there. The 2008 presidential elections in Zambia: incumbency, political contestation and failure of political opposition. A useful autopsy by Neo Simuntanyi on the 2008 elections which should spark a few thoughts on what may be different next week. 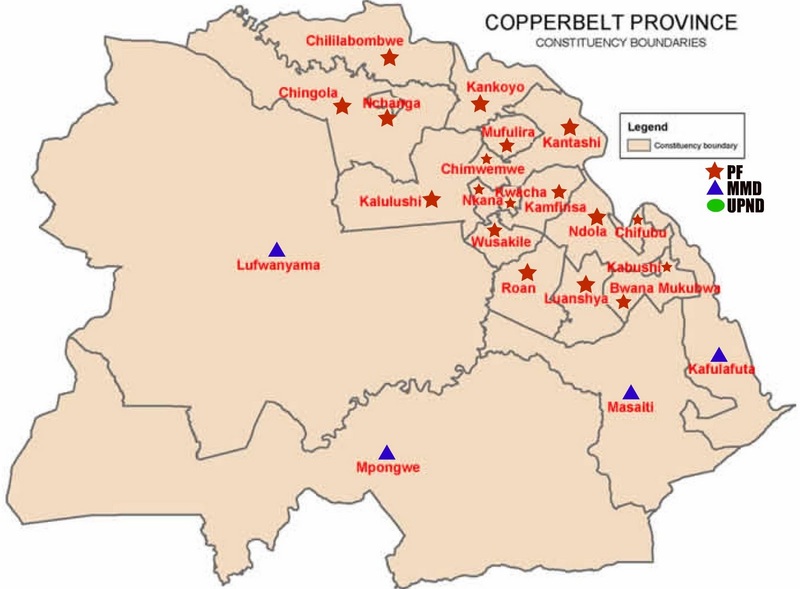 Zambia Election Briefing 2011: Battle Of The Dinosaurs – By Giacomo Macola And Jack Hoga. Perhaps the best assessment so far on the pending elections. Giacomo Macola is the author of the Kazembe Kingdom and editor of One Zambia, Many Histories. Zambia's Election : Cobra vs Codger. A piece in the Economist magazine argues that Zambia's policies are unlikely to change. Images of children leading blind adults are now commonplace in most urban areas. There are two issues here: one, exploitation of children and, two, the indignity to those who have taken up begging as a career. It is a very crude form of child exploitation when we make a child as young as six lead an adult in a begging mission. That child should be in school, for pity's sake. Much as we sympathise with the situation of a person who has, say, lost his sight, we still believe there are ways such as person can be self-reliant. As the adage goes, disability in not inability: The late Mzee Morris Nyunyusa, blind since childhood, remains easily the best traditional drummer the country has ever produced. By the time of he died, aged 82, Mzee Morris could play 17 drums at a go. The point we are making is: Let society look into ways of helping the disadvantaged to be self-reliant. Giving them alms only demeans them.."
"For instance, Zambia currently subsidises maize exports in regional markets, I feel that is not sustainable for a developing country like Zambia whose larger portion of the budget is donor funded...It is unsustainable and it can just lead to the government rushing to banks and other lending institutions to borrow more money to sustain such a venture. And if caution is not taken this could be the case for Zambia. The country could fall into serious debt...."
The warning comes from Kenyan economist John Mshiu. Recent Reuters analysis echoes the point. It suggests that the input only support model championed by Malawi and Zambia is unsustainable. Zambia's problems are deeper than Malawi's because in Zambia its funded solely by the Government, though Mshiu is right to note that at the end of the day its an indirect donor aid. We have previously touched on Zambia's broken and costly maize policies here and here, among many others. A useful piece on the role that judicial reform plays in boosting investment and growth. Particularly useful in highlighting some of the developments taking place across the continent. We have previously touched on this important in our monthly essay - A Poverty of Zambian Justice. Confidence in the justice system has a real and direct impact on the investment climate of any country. Assurance on contract enforcement builds on investors' confidence and without it, investors will go elsewhere. A new study by the World Wildlife Fund paints a bleak picture of the living conditions in the new"mega cities". In Karachi (Pakistan), around 30,000 people die due to the effects of contaminated drinking water, while in Kolkata (formerly Calcutta), there are both traces of faeces in drinking water and high concentrations of arsenic in ground water. In the rivers of Buenos Aires, described as "public cesspits", there are high levels of dumped toxins making the Argentine river Matanza-Riachuelo "one of the world’s most polluted waterways". And millions of people in the city lack safe access to drinking water and are not connected to sewer systems. Similarly, in Kenya, the capital city lacks capacity to manage the increasing demand for water. And 60 percent of Nairobi’s inhabitants live in informal settlements with inadequate access to quality water and are forced to buy their water at kiosks at a higher price. If our rural economies are going to change we must promote the production, diffusion and application of new technologies. Similarly, if the Namibian economy is going to be transformed we must build technological capabilities. The most recent opinion polls are embedded below for your electoral pondering, starting with the most recent. You will want to pay special attention to the period they cover. No polls have been conducted covering September. The CPD poll released this week was for August. As we get closer to the general elections, one of the topical issues we ought to be pondering is our country's current record on good governance. Zambians nationwide expect their national government to apply the elements of good governance in both word and deed, that is: transparency, accountability, rule of law, citizen participation in governmental decision making, and freedom of the press. Let us briefly examine what each of these elements of good governance entails, as well as determine whether our country can be said to be fostering any of the elements of good governance. Botswana is developing a policy to protect, preserve and promote its indigenous knowledge and mainstream it into the country's macro-economic framework. These efforts will involve identifying, documenting and gathering local traditional knowledge practices from areas including agriculture, health, culture and religious beliefs, and then feeding them into a legislative framework. According to the Gaborone government, "the initiative is intended to bring economic empowerment through benefit-sharing and [providing] royalties to communities rich in indigenous knowledge". In other words, Botswana has linked this policy not only to preservation of national heritage, but also to delivering positive economic outcomes (e.g. health, income generation). Senegal’s people are deeply disenchanted. In 2000, they enthusiastically went to the polls to elect Abdoulaye Wade as their president. Wade had campaigned as an agent of change, but change never came to Senegal throughout his decade in power. Now the only change he wants to make is to the constitution, so that he can retain his hold on power. Unfortunately, Wade turned out to be almost a caricature of the dozy African potentate for whom power, nepotism, and embezzlement become indistinguishable. So deeply has he identified his and his family’s interests with the state that he appointed his son, Karim Wade, to head four different ministries – international cooperation, air travel, infrastructure, and energy – simultaneously. The September 2011 short essay (3 pages) comes from our resident contributor on national development Elizabeth Mulenga. It examines the increasing illegal mining and mineral exploration in national parks. It asks whether this is the future of Zambian mining and calls on the public to give greater thought to the vast implications such activities may have for the future of our national parks.